Palisades Charter High School believes it is important to continue building and maintaining a positive working relationship with the Palisades community. We have listened to our neighbors and have made changes to our school operations, striking a balance between accommodating nearby residents and continuing to offer a varied curriculum to our students. We continually work to benefit the Palisades community, not only with educational opportunities, but also with cultural and community enrichment. Spent more than $5K on repairing P/A system to eliminate excessive noise into neighborhoods surrounding school. Enforced facility sound amplification rules for outside permit holders and has revoked said permits when facility amplification agreement has been violated. Isolating pool lights so that each light may be programmed as needed, avoiding having all lights on at a time, at a cost to the school of $3000. Hired new security and campus aides to minimize student traffic into neighborhoods. Contracted outside vendor at cost to school from $1500-$2500 per school event to manage sound for events in the stadium. PCHS routinely absorbs all overhead costs associated with community-sponsored events and routinely opens up its facilities and grounds for little to no cost to community permit holders. PCHS routinely denies permits for most music videos that want to film at the school out of respect for the community and the neighbors because of "playback" during shoot. A typical music video can bring in anywhere from $5K-$10K for the day depending on filming hours and talent. Annually, PCHS declines more than 75% - about $75K-$100Kn potential permit revenue - of all outside permit requests for use of our facility out of respect for our neighbors. 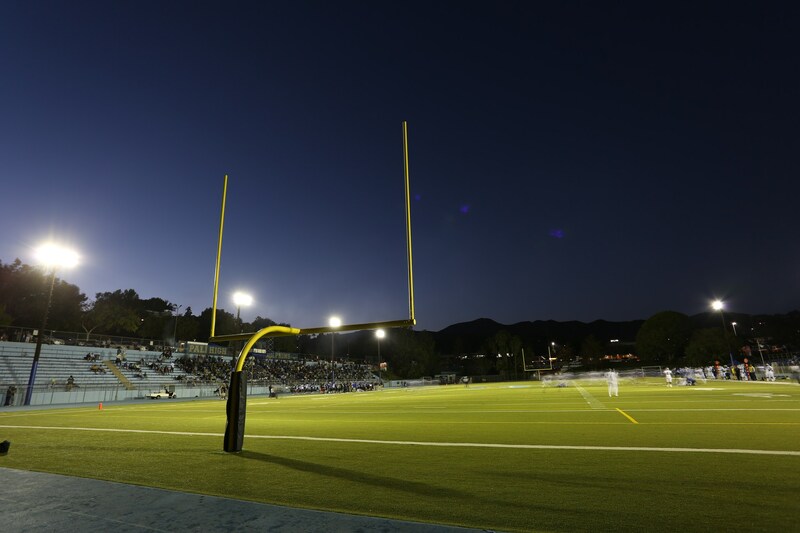 Changed lights on stadium field in 2013 to mitigate bright light spillage into neighborhood at a cost of $3K for an electrician and man-lift and $3200 for new bulbs. Appraising another set of new lighting that may yet replace the new ones with an even greater energy efficiency and minimal light spillage. Limited Friday/weekend hours so our facility is closed early Sunday and Friday morning and Friday/weekend nights. Reduced outside permit time on Sundays from 9:00pm to 6:00pm resulting in loss of revenue for school, but in place to benefit neighborhood and community. Ceased weekend and holiday outdoor rehearsals for marching band (no weekend marching band rehearsals in 2014). Ceased weekend and holiday outdoor rehearsals for drum line. Established earlier rehearsal end-time for marching band (8 pm). Purchased a small, portable PA that projects voice down into stadium during marching band rehearsal so as not to go through amplified metronome. Ceased amplified metronome out of doors. Ceased Masters water polo Friday/Sat/Sun. (Water polo does practice early Saturdays). Provided water polo coaches with low decibel whistles. Provided in depth calendar of pool events to the public, Notify all on mailing list ahead of time. Established EMS system for all permit activity on campus for easy calendar reference of campus events. Moved the band from corner of parcel Bowdoin/Temescal so as not to impact neighbors. Banned air-horns and vuvuzelas at all stadium events. Brought in outside security staff to enforce rules of stadium for large events. Trained pool lifeguards to address permit groups and users in the event of inappropriate noise. Opened the school pool to the community for their use and averaging 700+ users a week. Closed the El Medio gate during morning hours to minimize traffic in that neighborhood which puts an incredible burden on the school when loading/offloading students. Positioned our LA School Police Officer up onto Bowdoin at the close of school to keep students from disrupting neighborhood activities. Calendared campus blackout days for major holidays. Installed an aesthetically pleasing fence for the pool, instead of a chain link fence, as requested by the neighborhood. Ceased morning water polo practice (swim only – no whistles). Shut down top deck lighting at pool for the early morning swim as requested by neighbors. Posted signage asking patrons to respect the neighbors. Trained coaches in different management techniques to avoid yelling. Limited the number of large club swim meets to two a year. Relocated audio equipment at swim competitions directing sound back to school. Issued family passes for MGAC pool to affected neighbors. Adjusted position of the MGAC scoreboard away from neighbors’ houses. Installed new timers on stadium field to eliminate runaway lights at night. Installed new timers for baseball stadium to ensure proper shutdown at agreed upon times (was previously done manually). Contracted outside vendor to set limiter switch on stadium announcers booth. Hired permit coordinator for all outside permit group activities that involve sound. Established culture chat with students about respect for neighbors and community. Exploring options for soundproofing of Stadium seating risers to eliminate sound “bounce-back”.